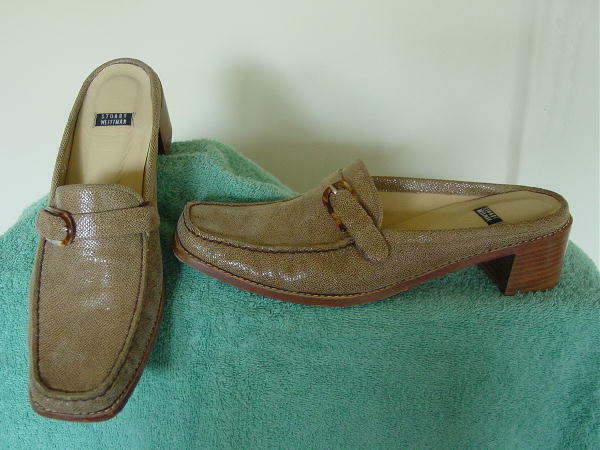 These modified square toe open back shoes are by Stuart Weitzman and have leather soles. They have faux wood stacked heels and rubber heel bottoms. There is a horizontal strap and loop on each vamp with a faux tortoiseshell buckle. The outer top surface is in a very light cocoa-tan with flecks of black and has a nice luster to it. It feels like a soft fabric - it's probably a manmade material. 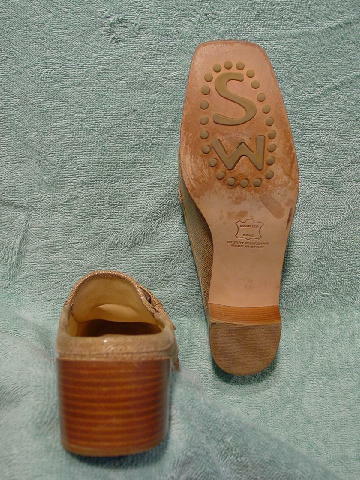 The tan insole is padded, and the leather soles have an elevated rubber SW and 23 circles.